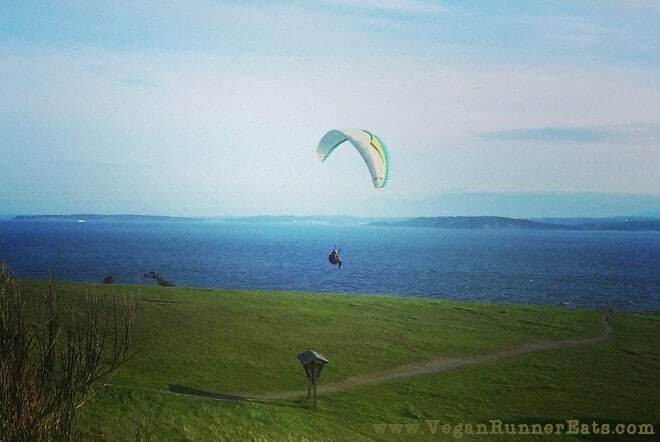 Vegan Runner Eats » Foods » We’re in Washington! Or How We Survived a Move Across the Country without Cheating on Our Plant-Based Diet. I’m so excited to finally write a blog post from our new home in Washington state! After packing our belongings in Alabama and shipping them on the first weekend of April, then driving to New Orleans to spend two days in a hotel, followed by flying to Seattle and clocking in even more hotel time while searching for a house to live in – we’ve finally moved into our new place on Whidbey Island, WA. As of Monday morning, Rob started his new job, and I am able to update you about our whereabouts – as long as the pitifully slow internet connection allows that (the local telecom company is supposed to relieve my suffering sometime this week). Let me tell you: Whidbey Island is absolutely stunning! After spending almost eight years in mostly flat Northwest Florida and South Alabama (biggest attraction – the beach) where we ran out of things to do and places to go a long time ago, I am amazed by the gorgeous views of this island located less than an hour north of Seattle (biggest attractions – Puget Sound, numerous state parks with breathtaking views, ferry rides, giant fur trees, snow-capped mountains, laid-back vibe, vegan-friendly community of nice but no-BS people). All in all, Whidbey Island seems to be a great place for us so far – kind of rural, with lots of nature and things to explore, but very close to the urban jungle and hipster-y trends of Seattle. And now, ladies and gentlemen, let me tell you about our culinary adventures in the past week and a half. I’ll try to avoid complaining too much, but in short, I’ve never been hungrier for a homemade meal – thankfully, I’ve been able to calm down this hunger the past couple nights. The thing is, we’ve been unable to cook at home during our entire transition because, well, we didn’t have a home. All of our stuff – including kitchen – was packed and shipped the first weekend of April, and there’s little telling when it’s supposed to arrive at our new house. Homemade stews, stir-fries and soups, veggie meatloaves, delicious muffins and cookies – I’m looking forward to the day we meet again! Until then, we’ve been quite dependent on Thai, Chinese and Indian restaurants, countless Subway veggie subs, and just about any place that can wrap up a rice and bean burrito. By the way, it was new to me to find out that Taco Bell has a couple good options for vegans – their bean burrito (no cheese, made fresco-style) and a veggie Cantina Bowl (hold the creamy cilantro dressing) are both tasty, cheap and filling. Okay, I don’t suggest eating fast food all the time, but if you’re deprived of a kitchen and tired of paying for restaurant dinners, it’ll do in a pinch. Also, I found out that most places try to accommodate our culinary preferences, even if it means eating something very simple, like a plain baked potato and a side salad. 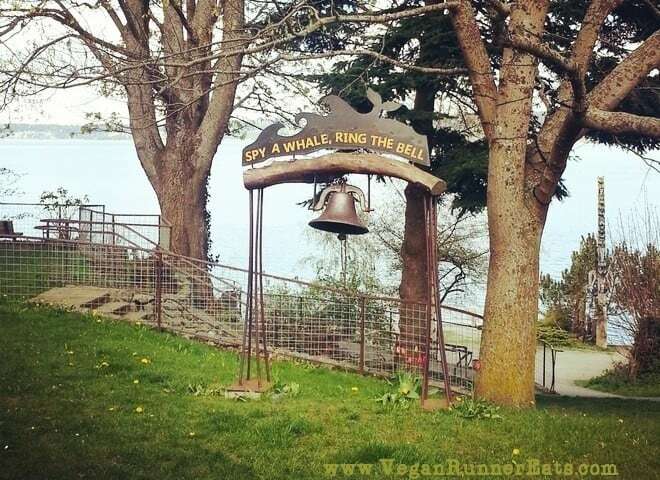 There’s no need to seek out all-vegan restaurants and get upset when you don’t find any nearby. We’ll always be better off looking for a meal that’s simple, tasty and healthy rather than searching for a place that can serve us a feast. For the last couple nights, I’ve been able to do some cooking at our new house – yay! So far my kitchen tools include a small frying pan, a pot and a very dull knife that we found at a local thrift store – much better than nothing! We’re still eating off of paper plates using plastic silverware, but once again, I’ll try to be grateful for what I have, and not bitter with what I don’t. In the next post, I’ll put together the quick recipes for the dishes that I’ve been able to cook with the few kitchen tools I have right now – once again, to show that healthy vegan foods don’t have to be complicated. Stay in touch! Tagged Seattle, traveling, Washington, Whidbey Island. Bookmark the permalink. 4 Responses to We’re in Washington! Or How We Survived a Move Across the Country without Cheating on Our Plant-Based Diet. 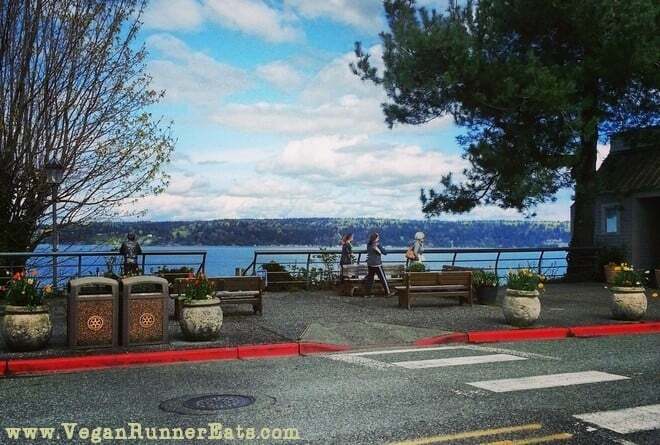 Did you run the Whidbey Island Marathon Sunday? It was perfect weather and the course is a good one. Lots of great hills. Glad I remembers my sunscreen this year. No, I didn’t – I would have loved to, but we were just moving into our new house last weekend, so there was lots of cleaning and other things going on. 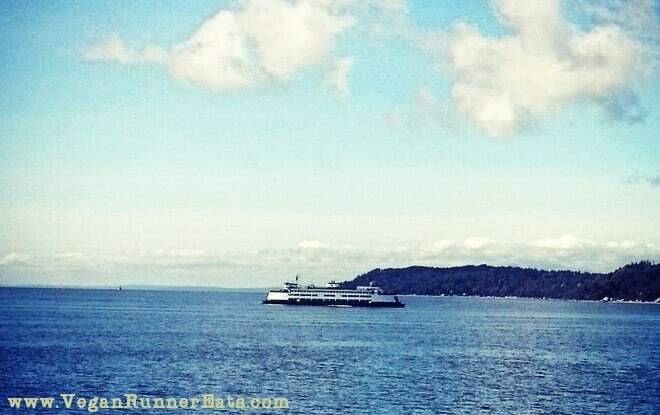 Maybe next year, when I get better with the killer hills of Whidbey Island!